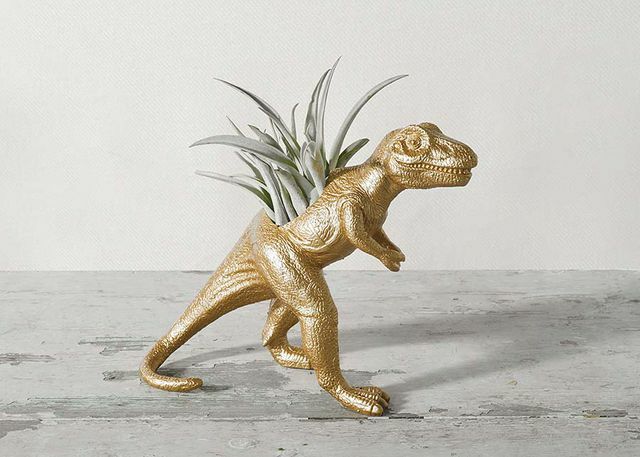 Meet The Dino – a prehistoric planter that’s bound to be a conversation piece. For those looking for something out of the flower norm, this golden guy with an air plant has your back. 2"-6" Air Plant in 9" x 8" golden plastic t-rex. Total height: 8"